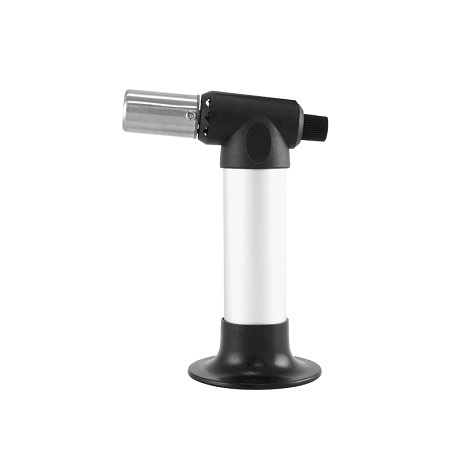 HOTERY PRODUCTS CORP. is leading manufacturer, supplier and exporter of Kitchen Blow Torch. With a factory in Taiwan. Our expertise allows us to offer a comprehensive range of, which is developed in tandem with the international quality standards. During the manufacturing process, our expert teams checks the quality of the products thus we ensure the superior products to our clients. Our services are highly appreciated by our clients for timely services and market leading prices. If you are interested in any styles of our products, please feel free to contact us. 1. Piezo self-igniting trigger design. two hands operation. 2. Fingertip adjustable flame control. 3. Colorful body colors optional. 4. Designed suited for environments requiring ease-of-use and portability. 6. Fuel cap: 9.4g (=16ml). 7. Body color generally in balck and red.